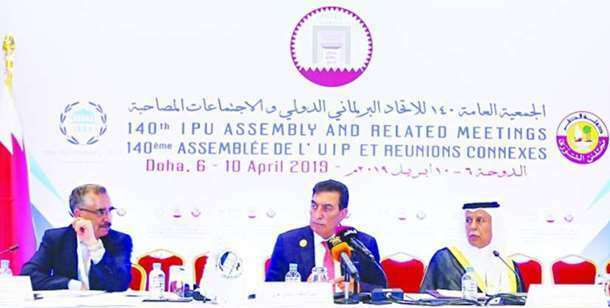 Amir of State of Qatar, Sheikh Tamim bin Hamad al-Thani will be addressing at the opening session of 140th Assembly of the Inter-Parliamentary Union (IPU) on Saturday at Hotel Grand Sheraton Doha. 140th Assembly will take off with the theme ‘Parliaments as platforms to enhance education for peace, security and the rule of law’. Around 80 parliaments and over 2,270 parliamentarians from 160 countries are participating in the event, marking the largest participation of delegates outside Geneva, Switzerland Headquarters. IPU Assembly will continue until April 10.